B. Made-to-order product– This compound will be made when the buyer will place an order for it. Made-to-order products are often also called virtual or tangible compounds. 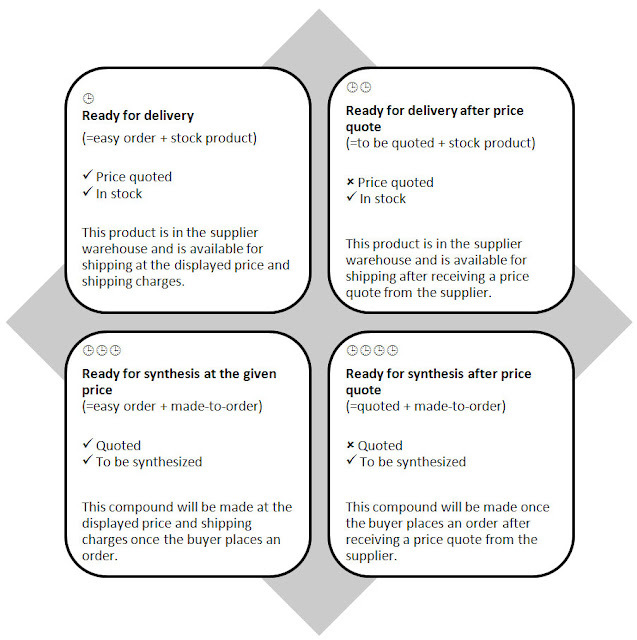 2) Quoted items – To order these compounds you would need to send us a request. We need to verify its latest price and availability. On average, it only takes one business day. In the search results we want to make it easy to recognize to which group each of compound belongs. We want to add tags. How would you name each group in 1 to 3 words! ?